Here's what everyone wore on the red carpet at the 2017 BRIT Awards. 1. 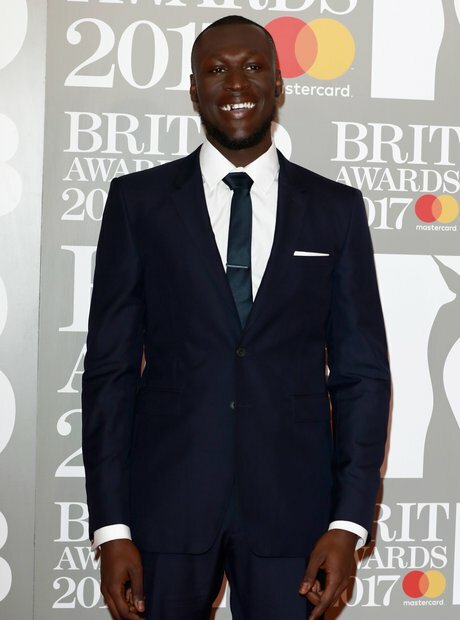 Stormzy hit the BRITs red carpet in a sharp navy suit. 2. As did his mate Ed Sheeran! 3. Kano looked dapper as he entered the venue. 4. Rita Ora rocked a bedazzled green gown. 5. Craig David went for a slick all-black outfit. 6. Anne Marie wore a stunning pink satin dress. 7. Raye rocked some sassy ruffled co-ords. 9. Emeli Sande wore an elegant floral blazer. 12. Maya Jama shone in an elegant black two-piece.